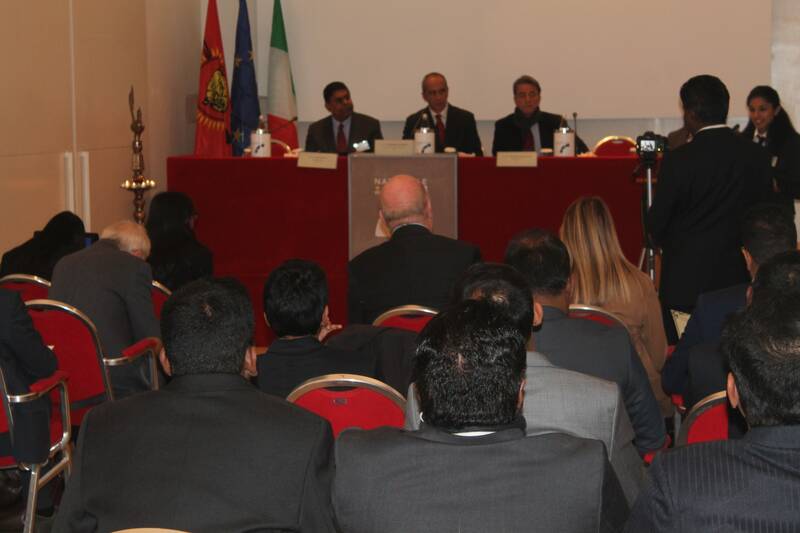 Speech delivered by Lorenzo Fiorito at the Conference titled “Seventy Years of Oppression of Eelam Tamils by Sri Lanka” on February 5, 2018, at the Hotel Nazionale Rome in Italy. 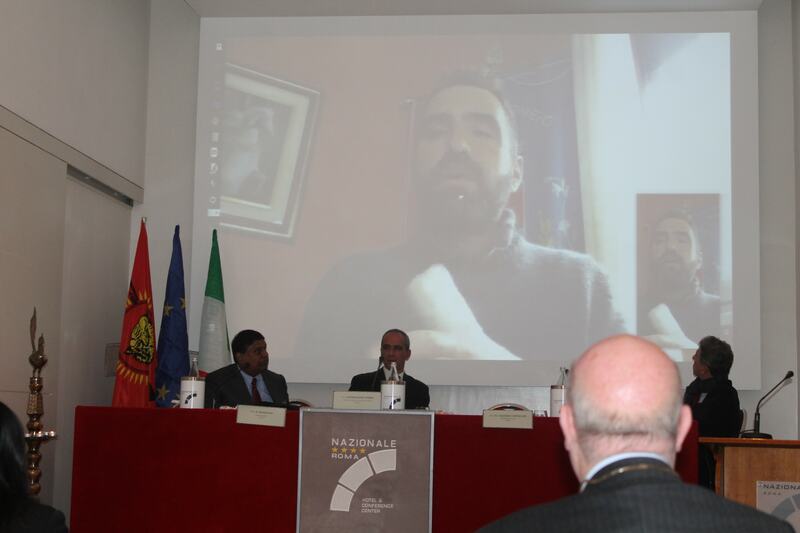 It’s a true pleasure for me to speak here in Rome, at a conference on Tamil issues; as this brings together the two biggest strands of my family identity. My great-grandparents on my father’s side left Molise, Italy, in the late 1800s: escaping poverty to start a new life in Canada. My mother made her way to Canada from Sri Lanka in the late 1970s, to begin her career as a teacher. When the civil conflict started in 1983, she and my father sponsored my uncles, aunts, and cousins to come to Canada. The beginning of the conflict, which made my family members refugees, forms some of my earliest memories. 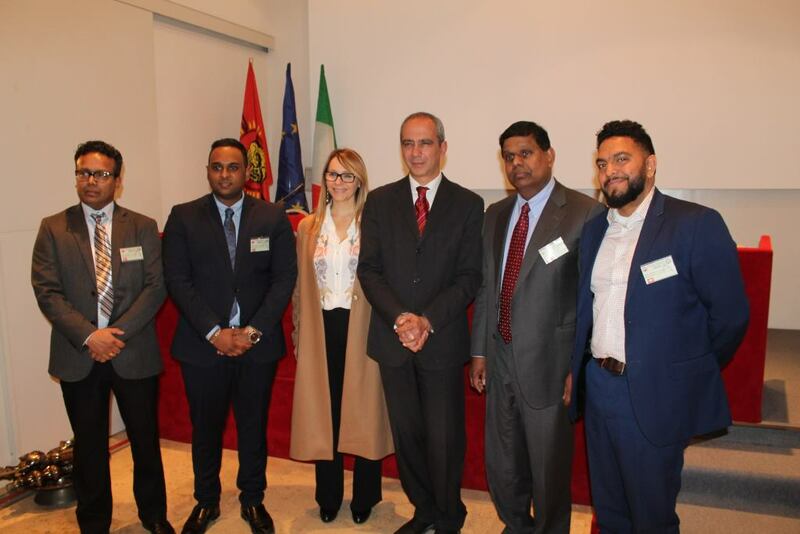 So this moment, speaking to an audience of Tamil diaspora representatives and Italian Parliamentarians, is quite meaningful for me. My topic today is “Genocide and Self-Determination of Eelam Tamils under international law”. To begin, I’ll outline the history of the Eelam claim to self-determination. Then I’ll show how the genocide, which is still ongoing, lends additional support to that claim. So we see that self-determination is the fundamental prerequisite. According to the Human Rights Committee’s commentary, we cannot effectively deal with land grabs, torture, abductions, extrajudicial killings, or any other individual human rights violations, until we have addressed the point of self-determination. And indeed, all of these crimes have been committed in order to deny the right of self-determination. I’ll return to this point later. Article 1 states that all “peoples” have the right of self-determination. Are Eelam Tamils a people? The Vaddukoddai Resolution thus provides the basis for response to the conditions of status as a people. Eelam Tamils self-evidently constitute a group of persons. These persons hold a common historical tradition, with a recorded literary history of at least two millennia. By virtue of self-identification as Tamils, they hold a common ethnic identity. Their habits of daily life, dress, cuisine, etc. demonstrate cultural homogeneity. As speakers of the Tamil language (especially its Eelam variety), they hold linguistic unity. The Vaddukoddai Resolution, and Eelam Tamil social practice, enshrine a secular society respecting Hindus, Muslims, and Christians. Eelam Tamils hold ideological affinity based on the principles of “nationhood, homeland, and self-determination.” The Vaddukoddai Resolution indicates the demographic claim of the Eelam Tamil population to the contiguous Northern and Eastern Provinces of the island of Ceylon, indicating territorial connection. Eelam Tamils are demonstrably bound together, both within their national territory and worldwide, by commercial, charitable, and familial economic ties. Eelam Tamils therefore fulfill each condition constituting a “people” under the “Kirby definition” used by UNESCO. As such, the Eelam Tamil people holds the right of self-determination under ICCPR Article 1. The Northern and Eastern Provinces overwhelmingly elected TULF representatives in 1977. Eelam Tamils thereby expressed a democratic consensus to be recognized as a people and to hold a state of their own, by exercising the right of self-determination. Yet, as in the past when Tamils had dared to express their political will independently, violent reprisals followed the 1977 election results. This closure of democratic space through which to articulate the right of self-determination gave rise to an armed movement, the LTTE. 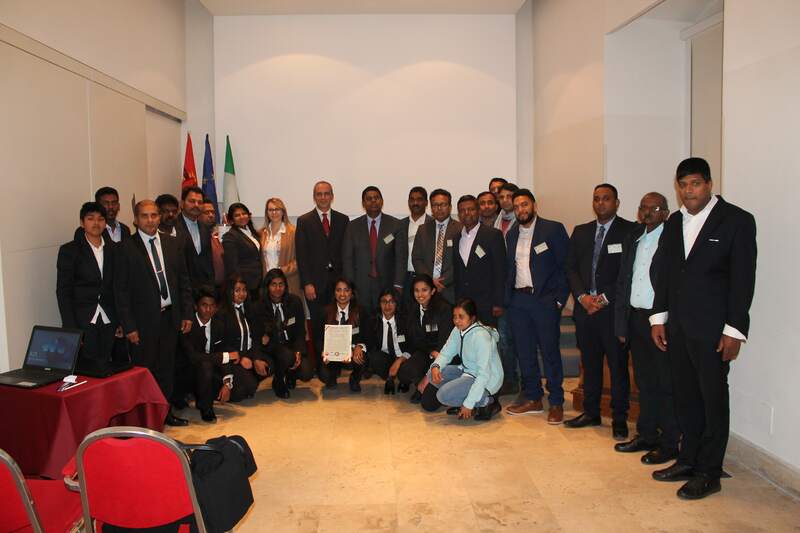 Therefore, Tamil Eelam fulfilled the four criteria of the Montevideo Convention for statehood: a permanent population, a defined territory, government, and the capacity to enter into relations with other states. “In the present Convention, genocide means any of the following acts committed with intent to destroy, in whole or in part, a national, ethnical, racial or religious group, as such : (a) Killing members of the group; (b) Causing serious bodily or mental harm to members of the group; (c) Deliberately inflicting on the group conditions of life calculated to bring about its physical destruction in whole or in part; (d) Imposing measures intended to prevent births within the group; (e) Forcibly transferring children of the group to another group. Let’s look at each in turn. Killing members of the group. It might be clear that members of the Tamil nation were killed for nothing more than being Tamil, particularly during the riots of July 1983, and in such conflict-related attacks. The fact that voter’s lists, with names classified by ethnicity, appeared in the hands of rioters who then killed Tamils without police or army intervention, should indicate possible collusion of the state. But President Jayawardene’s interview with the London Daily Telegraph on July 11, 1983, strongly indicates genocidal intent. A Channel Four BBC documentary called No-Fire Zone shows that, in the final days of the conflict, the Army told non-combatants to gather in specific areas to keep themselves safe. 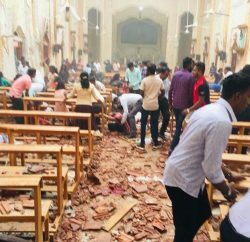 The Sri Lankan army then shelled those exact areas, resulting in at least 40,000 dead, within the space of weeks: according to UN estimates. Killing noncombatant members of the Tamil people group, whether during army operations or by vigilantes, was commonplace during the conflict. 100,000, primarily Tamils, are independently confirmed dead. Next on the Genocide Convention’s list: “Causing serious mental or bodily harm to members of the group.” It an effect of the military power of the LTTE that Sri Lankan soldiers did not often use sexual violence against Tamil women during the conflict. The LTTE itself strictly banned sexual violence within the territory it controlled, as well as unquestionably forbidding its troops to use it as a weapon of war. After the conflict, however, with the LTTE decimated, an epidemic of sexual violence perpetrated by Sinhalese-dominated Sri Lankan security forces has plagued the Tamil population. On November 8, 2017, 50 Tamil refugees in Europe reported that sexual violence had been used against them, while in custody, to extract confessions. All these survivors are Tamil men. Sexual violence causes both mental and bodily harm. Next on the list of the Genocide Convention: “Deliberately inflicting on the group conditions of life calculated to bring about its physical destruction in whole or in part.” To this day, thousands of Tamil families remain displaced from their land. At the end of the conflict, the Sri Lankan government placed several hundred thousand Tamils in internment camps, citing security grounds. 300,000 were held in the infamous Manik Farm camp alone. Not many have had their land returned to them. Instead, Sri Lankan army settlements, populated by Sinhalese soldiers, have sprung up on their properties. Some of these families have been demonstrating for nearly a year now, for the return of their land. Some has been returned, most land has not. Without access to land, the most impoverished Tamil families cannot fish, nor can they farm, nor can they properly educate their children. Often, they cannot even secure adequate housing. There is no way for them to make a living. Land-grabbing is a deliberate policy, that arguably intentionally dilutes the traditionally Tamil character of the Northeast region of the island, and destroys the ability of Tamil families to provide for themselves, thus contributing to the physical destruction of the group. Fourth on the list of conditions that constitute genocide: “Imposing measures to prevent births in the group.” In 2013, the Sri Lankan journal Groundviews reported that coercive methods were being used to convince Tamil women to accept long-lasting birth-control implants. These included threats to deny further medical services, and manipulation of access to medical information regarding the implants. Fifth, and finally, the Genocide Convention lists “forcibly transferring children of the group to another group”. Here, it must be said, direct transfer of children has not taken place, to my knowledge. However, in January 2013, it was recorded that Sinhalese soldiers were reporting to schools, in full uniform, and claiming authority to teach Tamil children. In Tamil areas, the Tamil language is spoken first, and English second. These soldier-teachers taught in Sinhalese. The unstated intent seems to have been to destroy the cultural identity of these schoolchildren. So, in each of the five possible manifestations of genocide that the Convention lists, there is at least one case, but often innumerable cases, where investigation into a possibly genocidal act is both justified and desirable. While several European and North American countries have applauded the Sirisena government, elected in 2015, for its change in tone from that of the previous administration, it is important to point out that many of these potential violations have occurred under its watch as well. Yet, Sirisena insists on upholding the culture of impunity on the island. The day after the 50 men reported the use of sexual violence in Sri Lankan custody, the president spoke to army officers about his intent to shield them from war tribunals. “refrain from any forcible action which deprives peoples referred to above in the elaboration of the present principle of their right to self-determination and freedom and independence. 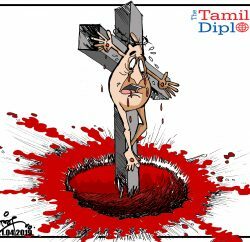 The dismantling of the autonomous region of Tamil Eelam, a de facto state recognized by Sri Lanka and parts of the international community, was accomplished through grave violations of international law and human-rights abuses. Such violations and abuses continue against the Eelam Tamil people at present. As such, the Eelam Tamil people is entitled to support, in accordance with the UN Charter, for the free exercise of its right to self-determination. 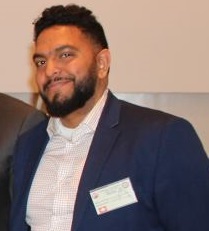 “In accordance with domestic law and international law, and taking account of individual circumstances, victims of gross violations of international human rights law and serious violations of international humanitarian law should, as appropriate and proportional to the gravity of the violation and the circumstances of each case, be provided with full and effective reparation” including restitution. In this case, therefore, restitution includes restoring members of the Eelam Tamil nation to a situation of the enjoyment of the human right of self-determination, and at minimum, a return to the borders recognized under the ceasefire agreement. The long-standing, and continual, attacks on the Tamil people have given them an awareness of themselves as a nation. Post-armed conflict democratic initiatives have utilized a non-binding public consultation, and the result was over 90% in favour of independence, on the basis of a 64% turnout of diaspora population. It is time, today, for a binding, UN-supervised referendum on self-determination; and for a special criminal tribunal that investigates war crimes, crimes against humanity, and genocide, against the Eelam Tamil people. It is my hope that those attending this conference will lend their aid to making this referendum, and this tribunal, a reality, in the months to come.